“Treat a man as he is, and he will remain as he is. Over the past 20 years Jeffrey A. Fishbein, Psy.D. has worked as a nationally recognized Sport/Performance Psychology Consultant and as a Licensed Clinical Psychologist. He is the founder of Fishbein & Associates Performance Consulting and a partner in the clinical practice of Drs. Gault, Fishbein, & Associates. Dr. Fishbein has worked with middle school, high school, collegiate, and professional athletes during his career, both locally and nationally. 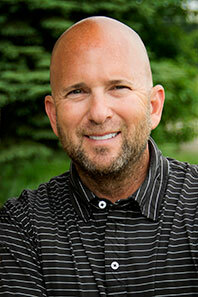 Currently, Dr. Fishbein is the sport psychologist for the Chicago White Sox professional baseball organization. From 2000-2002, Dr. Fishbein worked for the Montreal Expos professional baseball organization as the team's sport psychology consultant. Over the next 9 years, Dr. Fishbein worked in the same capacity for the Florida Marlins professional baseball organization. During his tenure, the Florida Marlins won a World Series championship in 2003, and two AA championships in 2009 and 2010. In addition to his affiliations with professional organizations, Dr. Fishbein was the head sport psychology consultant at Northwestern University in Evanston, Illinois. At Northwestern, Dr. Fishbein worked with the university's athletes in all sports in order to improve their performance and functioning both as students as well as athletes. As a leading performance specialist, Dr. Fishbein's approach is both proven and unique. His methodology, passion, and experiences in the field provide all who seek out his services with the knowledge and information required to excel on any level. Dr. Fishbein’s model focuses on optimal performance in a variety of settings, both on and off the playing field. Dr. Fishbein has been in practice as a clinical psychologist where he has worked with a variety of clinical presentations. His work with older children, adolescents, and adults provides him with the opportunity to work with those he is passionate about helping. He views his clients as those who have stories that need to be understood, rather than those who present with problems to be fixed. His empathic, engaging, and interactive approach has been extremely effective in his over 20 years of clinical practice.